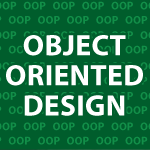 Welcome to my Object Oriented Design Tutorial! I cover a ton of things in the video below. The goal of this tutorial is to teach you how to create excellent OO designs. In this tutorial, I start off with a programming idea and walk you through the process of creating a Use Case, Object Model, Sequence Diagram and Class Diagram. If you need help understanding sequence diagrams look here. The diagrams that follow the video should help you along though. Great tutorial bro! Actually I have my exam for Foundations of Software Engineering next week… this helped a lot! I am planning to start a project in java. But i don’t know how to start so that it will use all the concepts of OOP. Can you help me also Is it necessary to design UML diagrams before starting project. My this new project will grow in future and I may need to add more and functions and classes. Great Tutorial as always Derek! Just wanted to let you know I’m watching 🙂 I think you really keep it simple and it is very easy to understand when you explain what is typically considered a complicated subject. I’m going to start teaching my 9 year old daughter programming and I will use your tutorials since I’m not as good a teacher as you. I’ll let you know how she does 🙂 Thanks again! I recently started messing around with creating a 2d game and as you say…and I have come to realize… planning matters! so yes I’m def watching this. And no i’ve never see anything like this elsewhere. Thnx as always. What UML software are you using? I couldn’t catch the name. And is it available for Linux? You are the grand master! masters do things look very easy. Video that I was waiting for. Great, I am trying to learn Java and I think this is the first thing I should learn. Derek did and excellent job. I hope he will continue making videos about UML and OOP. Thank Derek for your help ! Thank You! This is really good. Thank You. This is really good. Love your teaching style. Thanks to all of your tutorials, I am interesting to watch (UML, OOP design, OOP design patterns, XML and code re-factoring ). You are very welcome 🙂 I really enjoyed making those tutorials. My ultimate goal is to provide a complete software engineering degree online for free. I have a question here, theCoinegame create a coin, but why not it is created a players also ? I love your videos. You are doing a very noble service to those of us who are learning. I’d use PHP. To make everything secure I’d use end. I made this tutorial I will back. It isn’t 100% up to date, but it will definitely lead you to what you want. Thank You for these very informative tutorials.I have a small Question regarding Object model creation. In complex situation is there some best practices that could be followed to work out the Object model & relationships as it may be a bit hazy some times? I personally just use a description, a complex sequence diagram and a simple class diagram. I pretty much ignore everything else. Everyone finds their own preferred uml tools, or they are forced to use what the company prefers. Yes! I watched the whole thing. Thanks for your tutorials and site. Very awesome of you! Great tutorial. You are awesome dude. You make learning fun. Just wanted to say thank you for the videos! Just started viewing and I gotta say I am blown away! It is easier for me to understand if I see an example (like your videos) than if I try and follow along in a book. Thanks again! Thanks a lot for videos. This one of the simplest explanation I have found on OOPs concept and its transformation to actual coding. Note: I visited this page few days back. Today I was not able to see video again. You’re very welcome 🙂 Sorry about the viewing problem. Some times YouTube gets slow. I have been thinking about posting to other video sites, but I’m not sure who to use. Awesome tutorial. Just found out on internet. I like the simplicity & your approach. Thank you for the compliment 🙂 I try to do my best. Thanks again. Say, you on twitter? My main social network is Google+ because I have been forced to use it since I’m on YouTube. This is very informative tutorial, you explained very well about the OOD. Thanks Derek for sharing it. Would like to thank you for the work you put on these tutorials, I quite like the way you present the content, very straightforward. I am working on my graduate project and I found some of your tutorials easier to use as part of my content review than my uni texts, so yes I may be putting a note or two on my project bibliography pointing to some of your material. Hopefully this would be OK with you? On another note, I was wondering if you have any section on your OOP tutorials that quotes any references you may used for your work, textbooks or websites, anything really? This would greatly help me with the literature review I have to carry out. I’m very happy that I was able to help with your graduate project. Most of this material comes from personal notes I have made over a couple of decades. I learned a lot from the books Design Patterns: Elements of Reusable Object-Oriented Software, Refactoring: Improving the Design of Existing Code, The Pragmatic Programmer, and Test Driven Development. Hi Derek.. wonderful tutorial. I am eagerly waiting for the tutorials like this on game development. Very very nice work Derek. Thanks man you are great. Keep the good work going on. I appreciate your help. Thank you very much 🙂 I’m glad you found it useful. I have been doing procedural based programming for 20 years (Lotus Notes). I want to move to Android development. I figured, I have been programming for a long time, what’s one more programming language to learn. I’m finding this a more daunting task than I originally thought. OO programming, Java & Android are getting the better of me. How would you recommend I start the transition process? I have seen that you seem to have your hand in many many programming arenas. I appreciate the time you have taken to do these tutorials!! Thank you 🙂 If you know the basic syntax of Java you should be ready for Android. 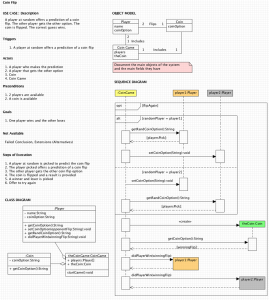 The one thing you need to understand is that Android uses an MVC structure. I cover it here. After that you should be ready for my Android tutorial. Feel free to ask questions.